Unable to live with his guilt after unleashing Ultron on the world, Tony Stark (Robert Downey Jr) believes the time has come to regulate the Avengers. He wants to be put in check and, following more Avenger-related chaos and carnage, encourages his colleagues to sign the Sokovia Accord. This internationally ratified, United Nations-backed agreement seeks to control when, where and how the Avengers can operate. However, Steve Rogers (Chris Evans) is wary of such governmental regulation. He doesn’t trust governments or politicians. He does not believe that a UN panel is capable of doing what only the Avengers understand needs to be done. The split forces the heros to take sides in a battle that threatens to destroy the Avengers from within. Just what do we want from our superhero movies these days? I want heart pounding action and cool gadgets. I want a smart story with characters that behave in a way that makes some sense (including the bad guys). I want quick fire humour and, yes, I want some of that to be self-referential (because we’ve all surely earned it). And most of all, I want to walk away from the end credits buzzing like a big kid. No pressure on Anthony and Joe Russo, the directors of Captain America: Civil War, then. However, going in, I felt quietly confident. After all, the Russo brothers have done it before with Captain America: The Winter Soldier. And yet, of course, there is always that lingering fear. Could this film end up becoming a big pile of cosplay bashy smashy? Having now seen all 2 hours and 26 minutes of Captain America: Civil War, I can report that this film is everything that I hoped it would be. Heart pounding action from the get go? Tick. Cool gadgets? Tick. Smart story, humour and character development? Tick, tick and tick. Did I walk out of the cinema buzzing like a big kid? You bet. Captain America: Civil War is all about the implications of collateral damage. Who is responsible for the innocent lives lost as the Avengers fight evil? What distinguishes them from lawless vigilantes? The time feels right to tackle these moral and ethical issues. And it certainly provokes a compelling debate (even if it did remind me at times of Pixar’s The Incredibles). In Marvel movies, grown men and women don costumes before they fight to save the world. I am often left wondering why this does not feel utterly ridiculous. It should feel a little silly, right? I believe that we accept these heroes for who they are (and what they wear) because of the time Marvel has spent building its universe. And this universe includes us, the audience. Throughout Captain America: Civil War, it was clear to me how much affection the filmmakers have for their characters and, most importantly, for their audience. They want us to have a good time - and because we are having so much fun, we are more than happy to get on board with the costumes. Captain America: Civil War is just so deliciously enjoyable. As with Avengers: Age Of Ultron, the best moments are often those interactions between our favourite heroes. It is also great to see the Avengers in action - each doing their thing. 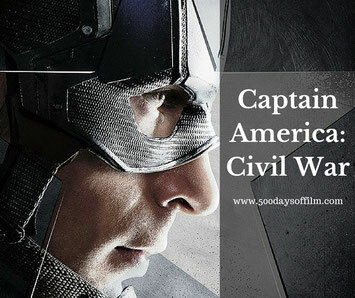 For example, at the beginning of the film, the Cap is involved in a fight with several combatants. He flings his shield, which ricochets off a pillar, takes out a bad guy and flies back into his grasp. Slick and just so satisfying. Satisfying too is the humour that runs through this film - relieving the tension and keeping the movie from becoming weighted down by its own ethical dilemma. Tony Stark has, of course, his traditional repertoire of retorts and one liners. However, Paul Rudd’s Ant Man is also on hand to lighten the mood as is Anthony Mackie's Sam Wilson. I loved the interplay between the two sides. Yes they beat the life out of one and another - but they do it with love. 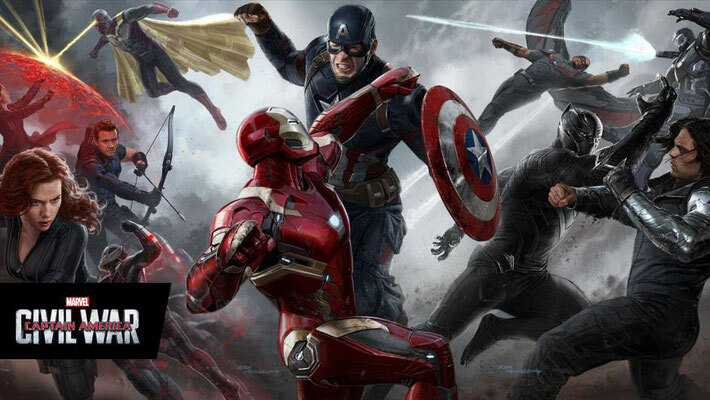 It is no secret, of course, that a number of new characters are revealed in Captain America: Civil War. Black Panther (Chadwick Boseman) is one of them. I was so impressed by his introduction - it felt seamless and I cannot wait to see his story unfold. However, it was Spiderman (Tom Holland) who really stole the show. What a fantastic first outing for Spidey. Marvel have pitched this character perfectly and Holland is a truly inspired choice. Honestly, if you are not grinning like a loon throughout his first meeting with Tony Stark you might want to check your pulse. Of course, Captain America: Civil War is not a perfect film. It is overly long and sometimes struggles to cope with all of the characters and conflicts at play. Meanwhile, while the movie’s marketing encourages us to pick a side, I just never felt inclined. To do so would just cheapen the film’s most interesting theme - that there are no easy answers when it comes to what is acceptable collateral damage. However, none of these niggles spoiled my enjoyment of this wonderfully entertaining movie. Marvel has worked hard to ensure our affection for all of these characters and Captain America: Civil War is a success they have earned. I loved how I could spot the ‘true’ Marvel fans in my cinema audience. First clue: they understood the 'in jokes'. Second clue: they laughed fondly at the appearance of Stan Lee. Third clue: they knew to stay for the final, final scene part way through the credits! If you feel the need to catch up on the Captain America story, you can watch Captain America: The First Avenger and Captain America: The Winter Soldier on Netflix. Some people are watching all the three films back to back - now there’s commitment, people.